A big news was released few days ago by Axelos, the joint venture company, created in 2013 by the Cabinet Office, and owner of ITIL. The core elements of ITIL will remain and will continue to derive from the experiences of thousands of specialists and experts. Research has confirmed that ITIL remains best practice for the ITSM industry. 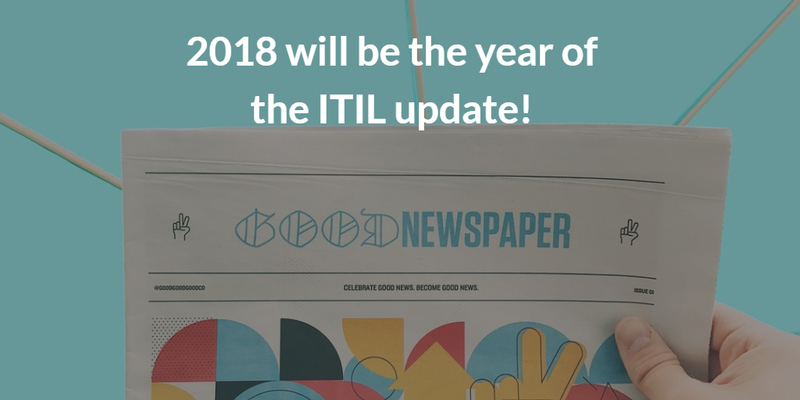 The Update will include practical guidance on how ITIL is adopted in conjunction with practices such as DevOps, Agile and Lean. Individuals who have already certified will have their current certifications recognised in the new scheme. A COMMUNITY-LED INITIATIVE: GET INVOLVED! Axelos actively encourages practitioners to provide insight and feedback to directly influence the update via the Global Research Programme. Currently more than 650 members have signed up to the programme. Sign up too!